Air-Sea Battle: Unnecessarily Provoking China? All throughout Air-Sea Battle (ASB) week, CIMSEC hosted articles about the ASB Concept. Each is well worth the time to read and digest for different views about U.S. military efforts to defeat the growing challenges presented by anti-access and area-denial (A2/AD) capabilities. Interestingly, several of the articles discussed the same scenario—a future U.S.-China conflict. Such a scenario seems almost natural, given U.S. concerns over whether China has the means to obstruct the U.S. military’s ability to project power in the Asia-Pacific. Unfortunately, it also neglects to take into consideration larger U.S. foreign policy objectives in the region. By portraying ASB as a means to defeat China in a military conflict, these articles represent a view that is ultimately at odds with the U.S. “Rebalance to Asia” strategy (yes, it is a strategy!). A key focus of the U.S. rebalance from the beginning has been to ensure that U.S. efforts to reinvigorate its approach to the region do not unnecessarily provoke China. As then-National Security Advisor Tom Donilon stated in 2013, building a “constructive relationship with China” is one of the main pillars of the U.S. rebalance strategy. Unfortunately, as these articles demonstrate, ASB is frequently seen as a U.S. military effort specifically developed to defeat China’s military, the People’s Liberation Army (PLA). This is despite frequent official U.S. statements to the contrary. As the official document on ASB stated, the ASB concept is agnostic in both scenario and opponent. Though this point cannot be stressed enough, it continues to elude many. There are several reasons for the confusion about whether ASB is specifically meant for China. First, it is the result of the PLA’s own actions, as it has sought “to develop measures to deter or counter third-party intervention, particularly by the United States”—the very definition of an A2/AD strategy. Second, the confusion over ASB is also fueled by earlier official U.S. military documents, which called upon the U.S. military to develop a way to counter A2/AD capabilities, such as those possessed by the PLA. Third, nature abhors a vacuum: the lack of official public information about ASB in the beginning was made up for by the quick thinking of CSBA, a DC-think tank that proffered its own idea for the concept in 2010. Despite being an unofficial recommendation, CSBA’s version of the concept still exerts influence over the conversation today. Finally, U.S. domestic and foreign press has further muddied the waters, as a quick review of articles on ASB demonstrates. However, confusion by the masses about whether ASB targets China is not the real problem. A bigger problem is what would occur should this view solidify within China’s senior civilian and military leadership. Were this to happen, it could result in unanticipated consequences that run counter to overarching U.S. objectives in the region. First, it could hinder U.S. efforts to improve relations with China, a rising economic and military power in the region. Those within China’s leadership that hold a more hawkish view of U.S. intentions towards China in the Asia-Pacific would have additional ammunition to support their arguments. Conversely, those that favor improving relations with the United States would find it more difficult to make their case. Increasing People’s Republic of China (PRC) hostility to the United States would only complicate any U.S. effort to get PRC buy-in on issues of mutual concern, such as North Korea. Second, it could cause the PLA to redouble its efforts to develop the very capabilities that ASB seeks to counter. Of particular concern here is ASB’s emphasis on the ability to strike a potential adversary’s command and control (C2) and intelligence, surveillance and reconnaissance (ISR) systems, which most likely would be located on the adversary’s home turf. When transposed to a hypothetical China scenario, talk of strikes on the Chinese mainland is likely to incite a knee-jerk response from a country that is already paranoid about U.S. efforts to contain its rise. The last thing the United States needs right now is a costly ASB-A2/AD arms race. So, is it possible to prevent or at least lessen the likelihood that the U.S. military’s development of ASB undermines larger U.S. foreign policy objectives? While to a certain extent it may be impossible, since some in Beijing are going to believe whatever they want despite U.S. actions or statements, there are a few steps that could still be taken. First, the United States should conduct a senior-level policy review to determine how U.S. military efforts to ensure global access are affecting the implementation of the Rebalance to Asia. This review should be done by both the executive and legislative branches. Any review should also include those responsible for U.S. foreign policy, not just U.S. military policy. Second, the U.S. administration should review the best way to ensure U.S. military access around the globe. Should the lion’s share of efforts be on offensive capabilities, including strikes against an adversary’s critical targets? Or should any effort be more defensive in nature, seeking instead to increase the survivability of U.S. and allied forces by defeating any enemy attacks after they have been launched? The latter may be seen as less provocative in Beijing. Third, the U.S. military should consider rebranding ASB. Despite the U.S. military’s best efforts, it may be impossible at this stage to fully delink the concept from efforts specifically tied to defeating China. Starting anew and conducting a full-scale campaign to control the message from the beginning may help to minimize any overt connection to China in the future. 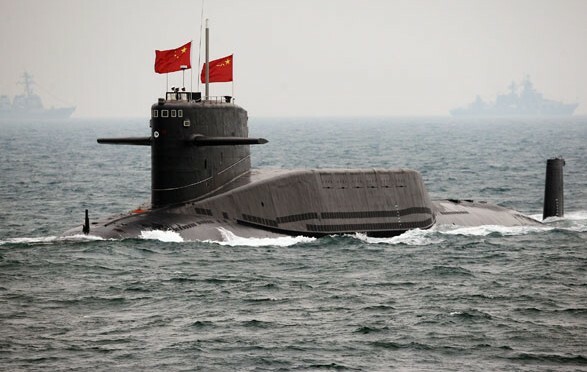 Finally, in no way should the U.S. military abandon efforts to ensure its ability to project power in light of growing Chinese A2/AD capabilities. The problem is not that the U.S. military needs to project power in support of U.S. interests in the Asia-Pacific. Instead, the issue revolves around how to do so in a way that conforms to larger U.S. foreign policy objectives. Solving this conundrum will ensure that both objectives are met without canceling each other out. Daniel Hartnett is a research scientist at CNA and a member of the Truman Project’s Defense Council. He can be followed on Twitter @dmhartnett. The views expressed here are solely those of the author and do not reflect those of any organization with which he is affiliated. This article draws from a longer piece done for the Center for National Policy. Office of the Press Secretary of The White House, “Remarks by Tom Donilon, National Security Advisor to the President – As Prepared for Delivery,” The Asia Society, New York, New York, March 11, 2013. See for example, the in-depth testimony by the assistant deputy Chief of Naval Operations, current chair of the Air-Sea Battle Senior Steering Group, to the House Armed Services Committee. James G. Foggo III (USN, Rear Admiral), testimony to the House Armed Services Committee, Subcommittee for Seapower and Projection Forces, Washington, DC, 10 October 2013. Air-Sea Battle Office, “Air-Sea Battle: Service Collaboration to Address Anti-Access and area Denial Challenges (Washington, DC: Department of Defense, 17 January 2012), p. 2. Office of the Secretary of Defense, Annual Report to Congress: Military and Security Developments Involving the People’s Republic of China (Washington, D.C.: Department of Defense, 2013), p. 32. See, for example, Office of the Secretary of Defense, Sustaining U.S. Global Leadership: Priorities for 21st Century Defense, (Washington, DC: U.S. Department of Defense, January 2012), pp. 4-5; Joint Chiefs of Staff, The National Military Strategy of the United States of America, 2011, (Washington, DC: Department of Defense, 8 February 2011), p. 14; and Office of the Secretary of Defense, Quadrennial Defense Review Report, (Washington, DC: Department of Defense, February 2010), p. 31. Jan van Tol, Mark Gunzinger, Andrew F. Krepinevich, and Jim Thomas, AirSea Battle: A Point of Departure (Washington, DC: Center for Strategic and Budgetary Assessments, 18 May 2010). See, for example, T.X. Hammes, “Air-Sea Battle: Lots of Heat, Little Light,” Center for International Maritime Security, 12 February 2014, http://cimsec.org/asb-lots-heat-little-light/. Air-Sea Battle Office, “Air-Sea Battle: Service Collaboration to Address Anti-Access and Area Denial Challenges (Washington, DC: Department of Defense, 17 January 2012), pp. 5-7. Wang Jingguo and Hao Yalin, “Guofang bu jiu mei zai ao zhu jun da jizhe wen, chai ‘kong hai yiti zhan’ lilun” [Ministry of National Defense Answers Reporters’ Questions about U.S. Forces in Australia, Denounces the ‘Air-Sea Battle’ Theory], Xinhua, 20 November 2011, http://news.xinhuanet.com/mil/2011-11/30/c_111206902.htm. The study in question is published by the Center for National Defense Policy, a center within the PLA’s Academy of Military Science. Strategic Review 2012 (Beijing: Military Science Press, May 2013), pp. 25-26. It is a bit a problem of mathematical type of relation. Some are intuitively recognized correctly like, A loves B, B loves C doesn’t mean A loves C. Unfortunately connection ASB means A2/AD, A2/AD means China is accepted easily. Therefore all disclaimers are not effective. Perhaps we should consider the advantages of tacitly accepting the fact that this is a strategy directed at China. Do we want to convince China that aggressive behavior toward their neighbors would not go unpunished? Yes. How does our credibility look on this issue right now? Not so good. How will it look when the Chinese Navy grows to perhaps 70% of the size of the total US fleet and a size greater than the US Pacific Fleet? It is just going to get worse. We are already in an arms race, we just don’t know it yet. Why constantly deny that the pivot is about China? Why deny ASB? Why do we ask for transparency only to have the door slammed constantly in our faces? This is getting absurd. Your piece while well written is unfounded. We are not provoking China. They advertise anti surface ballistic missiles, make inflammatory comments all the time at the highest levels. We have one O6 go off script and everybody freaks out. News flash: detente and appeasement do not work. We are getting nowhere and our allies and partners are losing faith. Hardball time. I suppose the bellicose threats by the PLA leadership over the years to nuke cities on the west coast should not be taken at face value? The us needs to be able to protect itself from a china that is aggressive and as nationalistic as the japanese fascists of the 1930s and 40s. That is what China is already attempting to do.